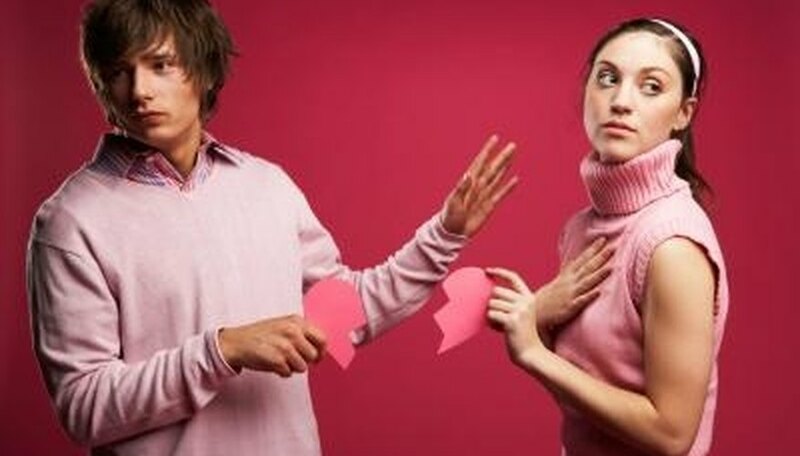 Incompatibility is an issue that can lead to break ups, divorce and a lack of satisfaction in a romantic relationship. Many people starting a new relationship ignore possible signs of incompatibility out of a desire to make their relationship with their new partner work, and then are faced with burgeoning issues once the "new-ness" of the relationship has worn off. Looking for warning signs early is a good way to address future problems before they threaten the relationship. Incompatibility has the potential to break up romantic relationships. A difference in needs is a major sign of romantic incompatibility that many couples choose to overlook. At the start of a relationship, there is usually some desire to make your needs match those of your partner, often to the result of ignoring your personal desires. If one partners needs significant amounts of attention and the other partner prefers some amount of distance, there is a basic incompatibility that, if not addressed initially, can cause a great deal of pain further in the relationship. Another factor that is often overlooked or unnoticed in the beginning of a relationship but later turns into a major issue for a couple is a lack of attraction. In many couples, a lack of attraction can grow as the couple ages, but for some the lack of attraction is there even at the start of the relationship. A person who is attracted to something that their partner lacks and is incapable of giving them is setting themselves up for future disaster if the issue of lack of attraction isn't openly discussed. Similar to differing needs, but less immediate, is a set of differing desires in a romantic relationship. While differing needs become fairly obvious quickly, many people are quick to try to convince themselves that they want what their partner wants, even if they're forcing it. Pay attention to your personal needs from a partner as you progress in the relationship and regularly check in with yourself that they're being met. If you and your partner have truly widely differing desires to the point that you can't satisfy each other, it may be time to end it. One of the most difficult issues that a couple can face is a basic lack of sexual compatibility in a relationship. It may not be easy to spot the warning signs of sexual incompatibility in the honeymoon phase of a new relationship, but as it progresses it can become more and more apparent. A lack of interest or attraction and a decline in intimacy are all warning signs of potential sexual incompatibility. It's essential to have open and truthful discussions about sexual compatibility at the start of a relationship to avoid pitfalls in the future. Walcerz, Marysia. "Warning Signs of Incompatibilty." Dating Tips - Match.com, https://datingtips.match.com/warning-signs-incompatibilty-8069858.html. Accessed 18 April 2019.